Another week, another draw, another week, another match of individual errors, another week, another game of frustration. Welcome to Vancouver Whitecaps World 2018. Strap yourselves in, it’s a bumpy ride. The ‘Caps made it four draws in a row on Saturday at home to New England. Now they just need two more in the next two games to set a league record. Go team! We look back at the points dropped to the Revolution, where it all went wrong, where it all went right, and where do we go from here. Plus we hear from both head coaches, New England’s Brad Friedel and Vancouver’s Carl Robinson. 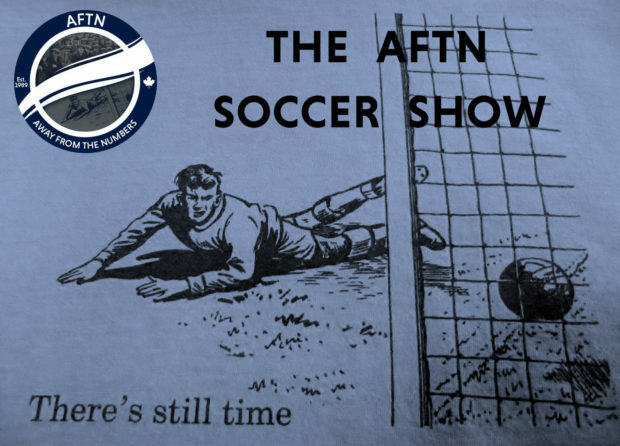 AFTN writer Chris Corrigan joins us in the studio this week to talk about all that and a lot more. We also take a look at the latest news surrounding the Canadian Premier League and the latest rumours about teams here in BC. Plus how the weekend played out for the MLS western teams, TSS Rovers talk, and Pete Green makes his debut in our Wavelength section with a Grimsby Town related tune. 36.57: Whitecaps chat – player analysis, defensive errors, how do we replace Waston? 79.25: Canadian Premier League news of the week – HFX Wanderers announced, but what’s happening in BC?